It has been a benign summer across the great North American farm belt. While there have been areas of weather anomalies such as drought and flooding the vast majority of cropland up until August 10th has had very good weather and crops are reflecting that. US crop condition ratings have been highly favorable throughout the summer and increasingly it looks like a tremendous crop in the United States. On August 10th, the USDA weighed in with their latest WASDE report. The August report is the first “in field” survey from the USDA and can often serve to narrow estimates that have come before. Simply put, we are having a huge crop in the United States again. The USDA pegged the national US corn yield to come in 178.4 bushels per acre, up from their estimate last month of 174 bushels per acre. This translates into 14.59 billion corn bushels, which is 356 million more than last month’s estimate. The USDA also pegged soybean yield to come in at 51.6 bushels per acre for total crop of 4.59 billion bushels, which exceeded all trade expectations on August 10th. The USDA pegged 2018/19 wheat production to reach 1.88 billion bushels, which is down 1% from last month. Those USDA projected yields were a record for corn and just under the record 2016 soybean yield. It was accentuated by big ending stocks numbers. Corn came in at 1.68 billion bushels, which is up 132 million bushels from last month. However, the biggest number was saved for new crop soybeans with the ending stocks pegged at 785 million bushels, which was above trade expectations. With the increase in yield, ending stocks were increased substantially and with an uneven Chinese demand situation, prices plummeted on the day with a November soybean contract down $.40 plus. The August USDA report simply reflected the huge supplies almost ready to come into the grain pipeline. On August 10th, corn, soybeans and wheat futures were higher than the last Market Trends report. September 2018 corn futures were at $3.57 a bushel. The November 2018 soybean futures were at $8.61 a bushel. The September 2018 Chicago wheat futures closed at $5.46 a bushel. The Minneapolis September 2018 wheat futures closed at $6.06 a bushel with the September 2018 contract closing at $6.46 a bushel. The nearby oil futures as of August 10th closed at $67.63/barrel down from the nearby futures of last month of $70.46/barrel. The average price for ethanol on August 10th in the US was $1.61 a US gallon up from $1.64 last month. The Canadian dollar noon rate on Aug 10th was .7626 US, up slightly from the .7609 US reported here July 20th. The Bank of Canada‘s lending rate remained at 1.25%. In Ontario, much of the dry weather that was experienced earlier has been alleviated. In fact, wheat harvest has been held up in many parts of the province because of wet weather. Some parts of the province have received heavy rain with a myriad of rain totals in other areas. As of August 10th, drought conditions have been alleviated in many parts of the province. However some drought damage may be irreversible in areas like Huron, Bruce, Essex, Norfolk and Dundas County. Wheat harvest is continuing in some parts of the province. This year’s harvest was lower than expected. There may be many reasons for that, but one culprit may be the June heat during grain fill. The early harvest went quickly but it was soon curtailed by rainfall, which satisfied the drought in one regard but made wheat harvest very difficult. Thankfully, cash prices did improve throughout harvest. In Ontario basis levels for both corn and soybeans have been maintained since July. This has been a reflection of the Canadian dollar fluttering around the $76 US level as well as strong export demand especially for corn. Local corn prices are approaching US replacement value and this will need to be monitored closely as we veer toward September. The USDA gives and the USDA takes away. That is often the lament of many farmers when bearish USDA reports send prices plunging. However, it was pretty evident this year with good crop conditions in the United States we were looking at another year of big yields. The August 10th USDA crop report substantiated that with actual survey results. There is still much weather left to impact this crop but the long six-year run of good American crop weather continues. 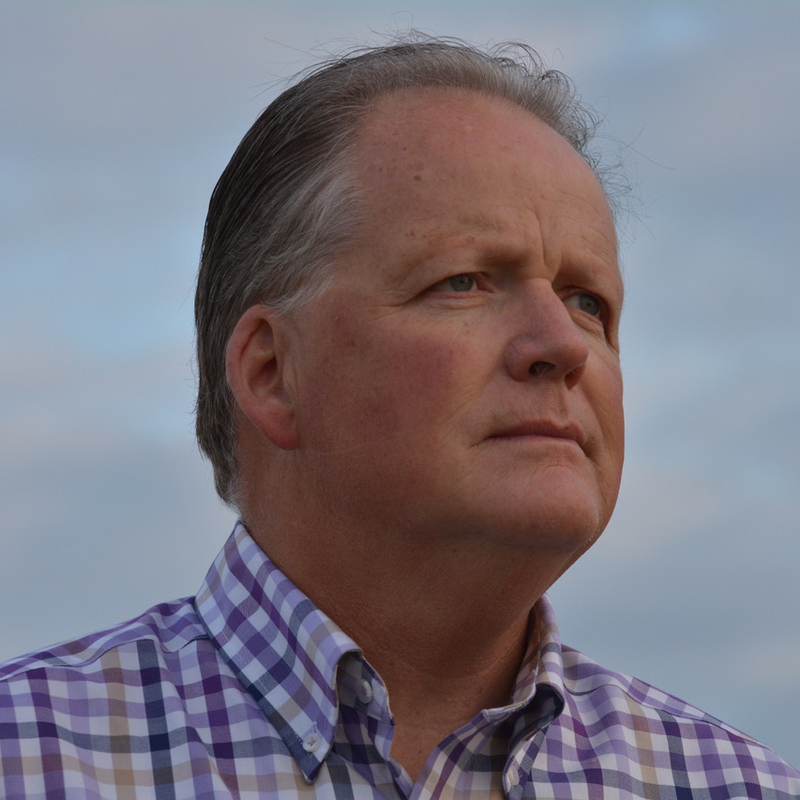 Comments out of the United States focus on another aspect, which may give market bulls some hope and that is that this crop is maturing quicker than last year. In 2017 the slower maturing crop got the weather to finish with bigger yields. The theory is the year in 2018 the opposite is happening which may result in lesser yields than expected. Needless to say, at the moment record crops are dialed in and the market is reflecting that. The good weather in the United States corn belt this year has certainly manifested itself on the supply side of the market. We are all aware that the demand side of the soybean market has taken a particular hit with 25% Chinese tariffs on US soybeans. Its actually caused some very strange grain flow because of high Brazilian premiums for soybeans versus the United States. For instance, European imports of US soybeans have increased. Traditionally, Chinese demand for American soybean starts up in earnest in September. That demand is still potentially there, but until things change the United States may be a residual supplier of soybeans to China versus a primary supplier. Frankly, the trade relationship between China and the United States is incredibly important for American soybean farmers. By default, it’s incredibly important for Canadian soybean producers. It may end with a bilateral arrangement with an early morning tweet. Or it may not end very soon at all. As is, until and if it happens, the switch is on for 2019 with a lot less American soybeans planted and a lot more US corn and other crops. Corn prices went down in sympathy with soybeans after the August 10th USDA report but also because record yields have a way of doing that. Simply put, with higher expectations for yield and ending stocks, the bearishness in the market is going to be hard to break for the next month. Despite the bearishness, the corn complex is not as bad as soybeans with new crop feed use and exports being increased by 100 million bushels and 125 million bushels respectively. The projected 1.68 billion bushels new crop ending stocks is high, but not as onerous as we’ve seen in past years. The December 2018 March 2019 corn futures spread is currently at -11.5 cents as of August 10th, which is considered bearish. Seasonally, corn prices generally trend lower until early October. The nearby September contract is currently priced at 26 percentile of the past five years price distribution range. The good part of the big soybean yield predicted August 10th USDA report was the less than record yield of 51.6 bushels per acre. However, this is very close to the record 52 bushels per acre from 2016 and with big acres it means a record crop. It’s hard to say anything good about price especially with the other soybean foibles happening this summer. The 785 million bushels soybean new crop carryout is a showstopper. It is a result of so many more soybeans being grown in the United States. This actually puts the new crop stocks to use ratio at 18.4%, which is the highest since 2006/2007. The November 2018 March 2019 soybean futures spread is currently -23.25 cents which is considered neutral. Seasonally soybean prices tend to trend lower into early October. The nearby soybean contract is currently priced in the 5th percentile of the five-year price distribution range, which makes it near its lowest price in nine years. Wheat has been in the news this summer because of all the production problems that we have seen across Western Europe. Australia has also been going through a devastating drought along with parts of Western Canada. The USDA actually reduced ending stocks in the United States and also reduced the European crop estimate down 7.5 MMT. However, they increased the Russian crop by 1 MMT. The top seven exporting wheat countries have seen their ending stocks reduced to the lowest level since 2007/2008. Cash prices for 2019 wheat in Ontario have been above $7 dollars going into the August 10th USDA reports. This was due to a rise in futures over the last several weeks and a lower Canadian dollar. Wheat prices above $6 made for a better Ontario harvest. As we turn into September producers will be planning just how much wheat to be planted this fall. It is easy to be overly bearish in this market situation, but keep in mind nothing ever stays the same and there are stacks of new crop contracts for corn and soybeans on the shelf with much higher prices stamped on them. There will be options ahead and nobody knows the future. The trade file is particularly difficult and cannot be predicted. American action on this file has been unpredictable and fueled over twitter in many instances. Changes on this file may happen very quickly because the United States is the richest and most powerful country in the world. Geopolitics matters and it creates marketing opportunity as well as takes it away. 2018 has been a laboratory for that. Wheat has actually been the market leader over the last month and that is unusual. Hot weather in Western Europe and Australia has cut back their wheat production. It was a surprise that the USDA actually raised Russian wheat production, when they have had problems as well. However, the steam may be running out of that train as corn prices get to be about $2 higher than wheat prices, feeding wheat reverts back to feeding corn. Presently, $7 Ontario 2019 wheat prices are reflecting unique market factors manifested over the last month. Marketing within this bearish futures environment will continue to challenge Ontario farmers and of course, like I’ve said many times, nobody knows what prices will do. However, basis values at the present time in Canadian terms are historically within a high cash range. There are lots of new crop contracted already, but there’s always some un-hedged bushels left over. 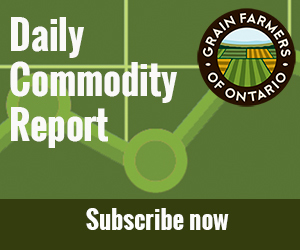 The Canadian dollar continues to flutter near the $.76 level, providing more optimistic price optics to Canadian farmers versus their American counterparts. The American farmers have a $12 billion direct payment to soften some of the blow from a trade war. In Ontario, there is nothing on the way in similar terms. 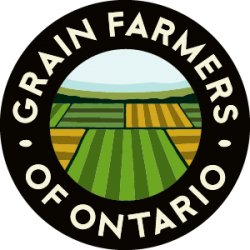 It is just another challenge for Ontario farmers in an uneven marketing environment. Generally speaking, the crop in Ontario looks like a good one and as we get closer to September it is likely we see crops starting to mature quickly toward harvest. This time will also be a test to see if the good crops will be impacted adversely by any upcoming weather event changing our market environment. It has been a bearish market summer for producers. As we look ahead the bulls needs some reasons for optimism. Eventually, it will happen. Adjust those standing marketing orders accordingly.